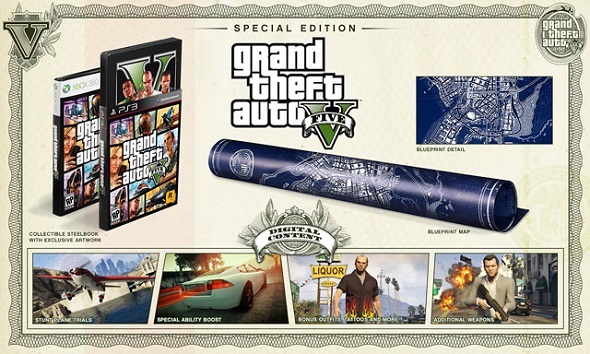 Rockstar Games company, the publisher of GTA game series, has announced today GTA 5 special and collector's editions release. 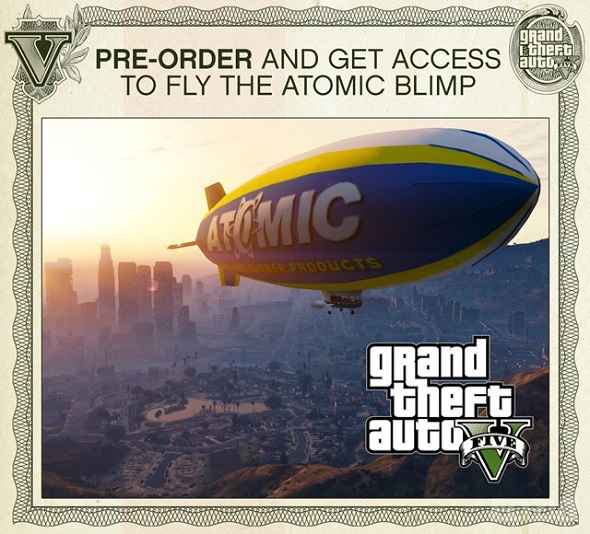 Both editions are available today for pre-order and anyone who pre-orders at least one edition will get the free access to the new game's vehicle - the Atomic Blimp. 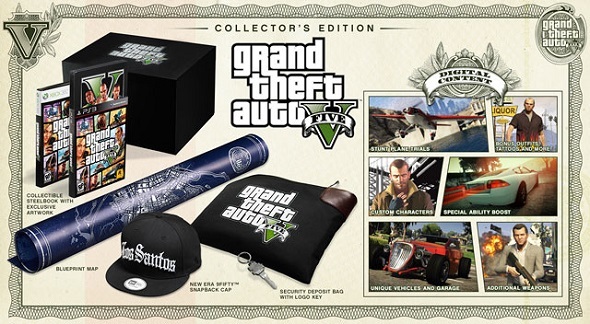 - Unique vehicles and your own garage.